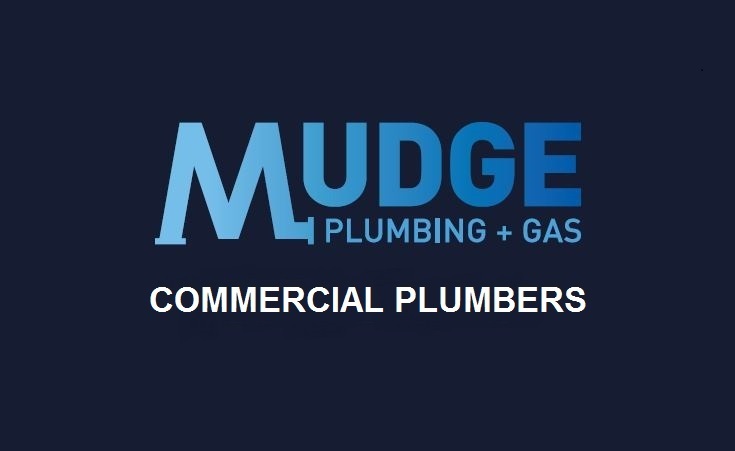 Mudge commercial plumbing have the latest available technology to hydro-jet blocked drains and provide CCTV inspections. They have equipment that can clear pipes as small as 40mm and up to 300mm. Detailed reports can be provided, as well as video evidence of before and after hydro-jetting works for reassurance that drains have been cleared properly. Reports can also be supplied with accurate quotes for repairs to drains if required. Normally repairs would be carried out when the frequency of blockage becomes too high or if damage could be caused by resultant flooding. Our typical customers include but are not limited to, home owners, real estate agents, shopping centres and industrial / manufacturing businesses. Traditional drain machines clear blockages by rotating a cutting head inside the drain with the use of rods. The rotating motion forces the cutting head to cut through the blockage. Most of these types of machine require power to operate. It is not possible to use CCTV at the same time as the rotating rods will damage the camera cable. Inspections would normally be completed after removal of rods from drain. What are the benefits of hydro-jetting vs traditional drain machines? Unlike traditional drain machines, hydro-jetting not only breaks up blockages but also cleans out build up in drains and ensures the drains are flushed out, thus preventing secondary blockages and foreign material being left in drain. Hydro-jetting can perform a range of blockages from 40mm pipe to 300mm pipe and in most instances can clean longer lengths of pipes than a standard drain machine which are limited by their rod length. Hyrdo-jetting can be used in conjunction with CCTV camera, which saves time and hence your money. 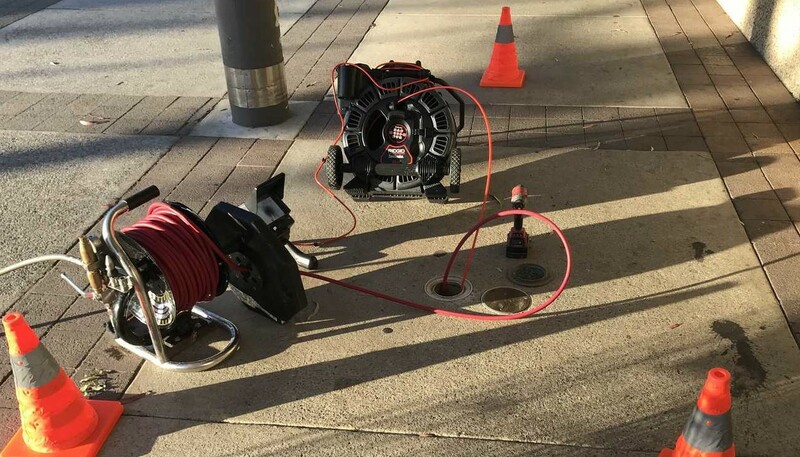 What is CCTV Drain Inspections? CCTV drain inspections refers to when a specialised camera is used to inspect the internal integrity of a drain. Typically used when trying to inspect for faults in existing drains that can’t be accessed due to being below ground or in concealed pipes and checking that a previous blocked drain has been effectively cleared and there are no risks of secondary blockages occurring further down the line. What are the benefits of CCTV Drain Inspections? Takes the guess work out as a visual inspection of the drains can be completed without the need to excavate. Can confirm that drains have been fully cleaned and no debris has been left behind after clearing blocked drains and ensure there isn’t other blockages (secondary) further down the line. Can locate lost drains or problem areas and then be able to give accurate quotes on excavation and repair of broken drains. Provide before & after evidence of drain clearance. How much does hydro-jetting & CCTV drain inspection cost?